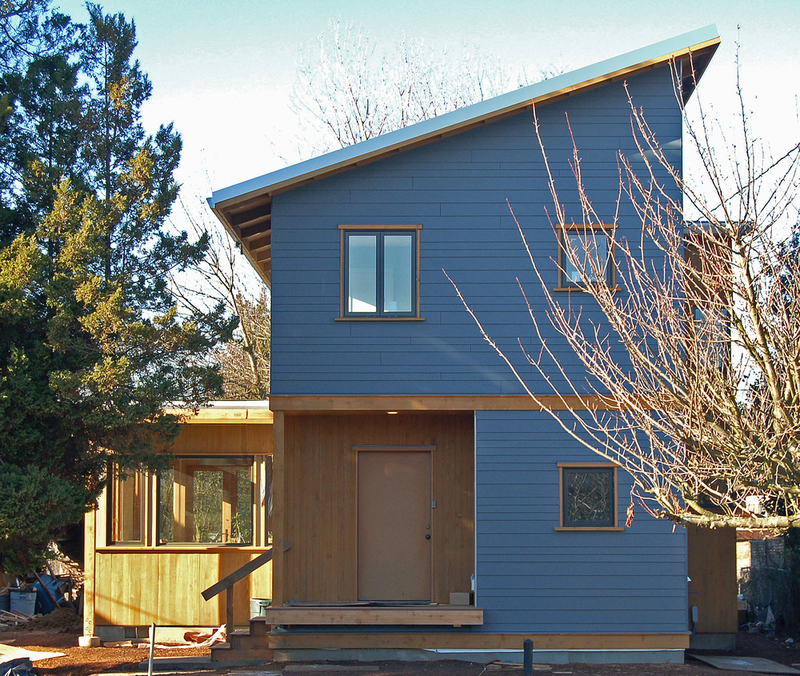 The client for this compact, responsibly-built project wanted to build a house that used proven green building strategies, was a "good neighbor," and at the same time explored new technology for rainwater harvesting. A standing seam metal roof guides rainfall into a six-thousand-gallon cistern under the house, and is made potable through a series of filters and UV light. The cistern is sized to provide a family of four’s needs throughout the year. Storm water is handled on-site in a small wetland swale. Other elements of the design’s emphasis on long life, energy efficiency and low-embodied energy include: salvaged wood siding, FSC-certified "advanced' wood framing, recycled cotton batt and cellulose insulation, radiant floor heating, and non-toxic, low VOC finishes. The client has since taken advantage of the roof orientation to install a 4kW photovoltaic array, which offsets most of the house's yearly energy use.